Marine debris affects more than just air-breathing marine organisms. 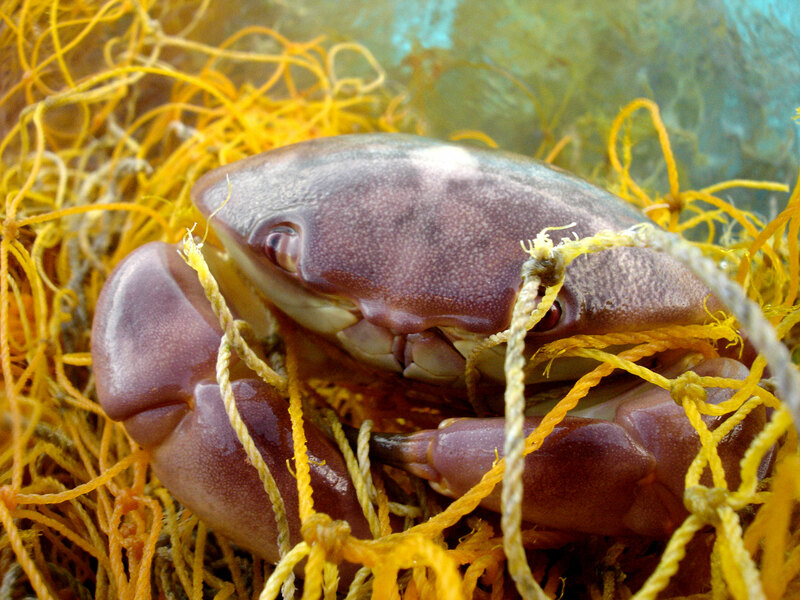 Derelict fishing gear left in the environment can entangle and kill commercially important marine organisms such as this crab. This process is known as 'ghost-fishing'.